The Stampeders, RICH DODSON, kim berly AND RONNIE KING, Were one of Canada's top rock bands of the 70's. In 1971 The Stampeders won Juno Awards in the categories of 'Best Group,' 'Best Single,' 'Best Producer' and 'Best Composer' for their platinum single, SWEET CITY WOMAN. . Their other hits include CARRY ME, DEVIL YOU, WILD EYES, OH MY LADY, THEN CAME THE WHITE MAN, MINSTREL GYPSY, PLAYING IN THE BAND, HIT THE ROAD JACK, NEW ORLEANS, MONDAY MORNING CHOO CHOOand KEEP MERUNNING WILD, to name just a few. 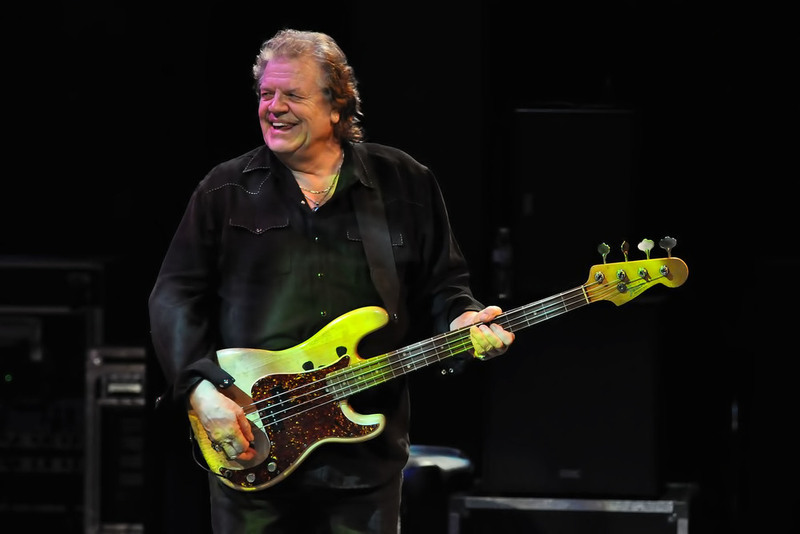 Hailing from Calgary Alberta, the Stampeders went on to become a household name between 1971 and 1976, with four songs reaching Top-30 in the U.S and ten Top-5 singles in Canada. They recorded nine albums, many achieving gold and platinum status. SWEET CITY WOMAN has since become a classic and a standard in the world of pop music. In a recent poll, it was voted one of the Top-10 most-recognizable songs of the 70's. In 1972, the band was awarded Holland's prestigious 'EDISON AWARD’ along with RY COODER and CARL WILSON of THE BEACH BOYS, during a televised award show with an estimated audience of over 30-million viewers throughout Europe. In 1991, THE STAMPEDERS had the honour of being inducted into the Alberta Recording Association's "Hall of Fame," and in 1994, they were inducted into the CJAY 92 Calgary Rock Hall Of Fame. Also, in 1994, RICH DODSON was inducted into the SOCAN Hall of Fame for his compositions, SWEET CITY WOMAN and CARRY ME along with KIM BERLY for his composition OH MY LADY. The Stampeders were also inducted into the SOCAN 'Hall Of Fame' and received a SOCAN Special Lifetime Achievement award at Roy Thompson Hall in Toronto in 2011. 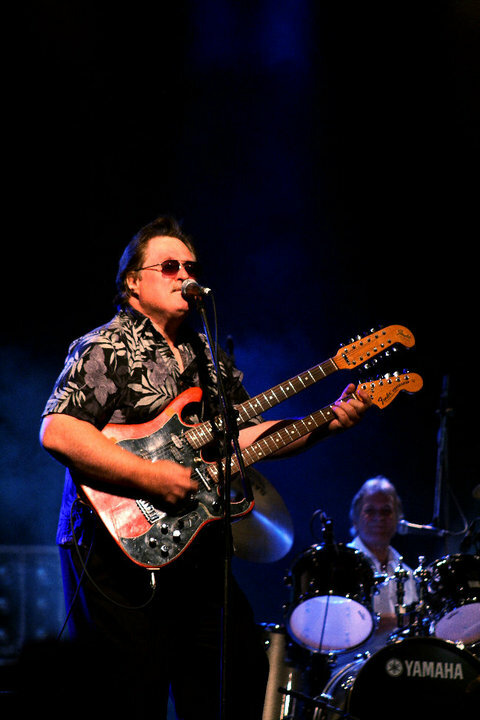 From 1970 to 1977, the band completed six (6) tours across Canada and performed extensively in Europe, South America (representing Canada at the Brazilian Song Festival to an estimated audience of 90-million viewers) and the U.S. with acts like SANTANA, THE BEACH BOYS, THE EAGLES, MOUNTAIN, Z.Z. TOP, RUSH, BLACK OAK ARKANSAS, ROBIN TROWER, SONNY & CHER, AMERICA, EARTH WIND & FIRE, JOE COCKER, STEELEY DAN, BLOOD SWEAT & TEARS, THE JAMES GANG and GENESIS, just to name a few. According to promoter DONALD K. DONALD, they were the top Canadian concert draw from 1971 to '74, and were the first Canadian band to tour from one end of the country to the other. THE STAMPEDERS can also be credited with having some of the first rock 'videos' by a Canadian act, five of which are included in a one-hour video entitled "CANADA'S COUNTRY-ROCK LEGENDS - THE STAMPEDERS." They made numerous TV appearances, including their own one-hour CBC special, "A SHORT VISIT TO PLANET EARTH," THE JUNO AWARDS, CBC’S “MISS TEEN CANADA”, NBC’S “THE DATING GAME”, the “SARATOGA SPRINGS, N.Y. AMERICANSONG FESTIVAL”, KENNY ROGERS’ “ROLLING DOWN THE RIVER,” and the U.S.-originated, "DON KIRSHNER'S ROCKCONCERT”. With over three hundred and fifty (550) reunion concerts to their credit and a brand-new live album, “Live At The Mae Wilson” (MPL-CD-11001) on Marigold Records/E1 Music, to the delight of their dedicated fans old and new alike, THE STAMPEDERS ARE BACK!